Here’s another trail for the HAMEX event we’re involved with this coming Sunday, November 29. If you’re in reach (there’s a map on the link below), it’ll be well a visit, so do come along and visit us if you can. 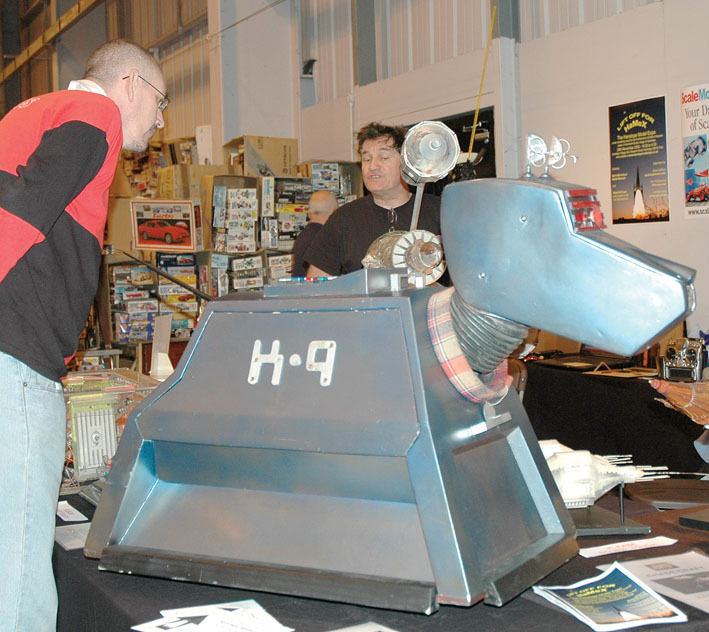 HAMEX (Hanslope Model Expo) is masterminded by Mat Irvine, who will be bringing along lots of his BBC Special Effects models and props, including the Doctor Who K-9 robodog, the Liberator spacecraft from the classic Blake’s 7 TV series, and a world-first: space models from the 1973 BBC science fiction series Moonbase 3. Mat will be hosting two informal question-and-answer sessions, one at 1130, one at 1430 - and if you’re a dog-lover (or a robot fiend) then K-9 will be in rolling-robot demo mode! HAMEX co-host Paul Fitzmaurice of Little Cars will be there too, with a galaxy of tasty tools and accessories for model makers. David Jefferis (‘Mr J’) of Scale Model News will show a fascinating range of items from the SMN vaults, and with luck we’ll be showing some videos too. Mat Irvine’s site is here.